The smallest power supply of the series, with nominal power of 10W, can provide a maximum current of 0,42A on load at 24Vdc. Protected against overload, short circuit and output overvoltage. 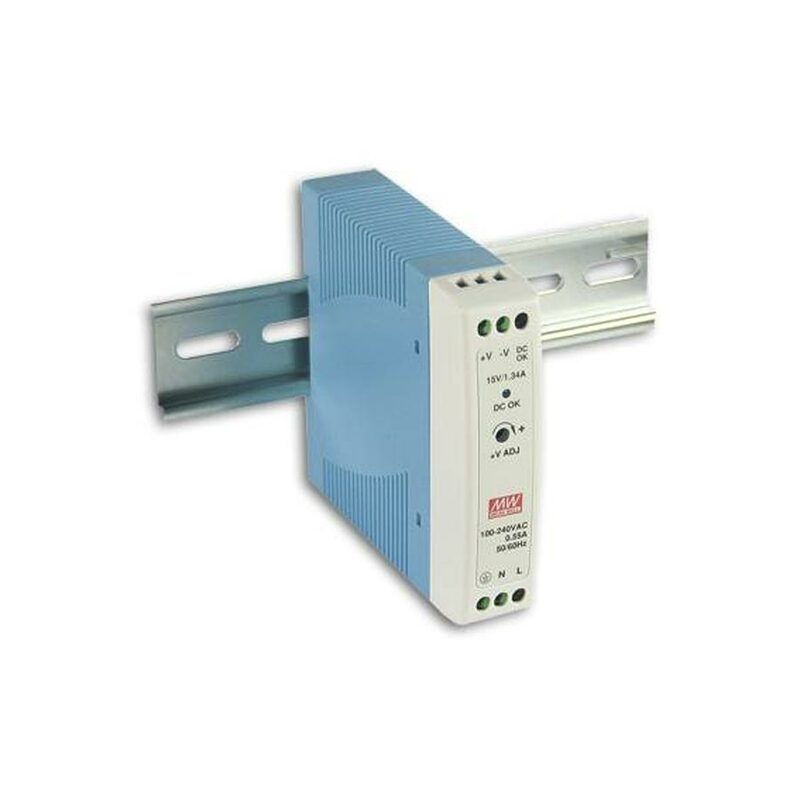 Equipped with output signal for voltage OK. Small size and DIN rail mounting, ideal power supply for the entire series of compact PLCs and I/O modules.